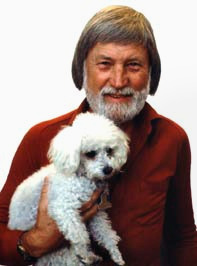 Joseph Raymond "Ray" Conniff (Attleboro, Massachusetts, 6 de novembro de 1916 — Escondido, Califórnia, 12 de Outubro de 2002) foi um líder de banda e arranjador norte-americano, considerado o rei do easy listening. Seu estilo de associar vozes masculinas a trombones, trompas e saxofones baixo, e vozes femininas a pistons, clarinetes e saxofones altos, dava-lhe uma característica inusitada e só sua. Seu coral limitava-se a pronunciar sons como da-das e du-du-dus e outras variantes, ao invés de palavras, o que imprimia um "colorido musical", intensificando os tons suaves e, ao mesmo tempo, abrandando os mais fortes. A partir de meados da década de 1970, reduziu seus cantores de 24 para 8 vozes, sem que perdesse em qualidade sonora ou comprometesse seu estilo. Na década de 1980/1990, voltou-se de vez para o mercado latino, tendo gravado centenas de canções, incluindo algumas brasileiras, concentrando-se basicamente no repertório musical de Roberto Carlos e de Julio Iglesias. Ainda assim, lançou álbum de trilhas sonoras de filmes americanos e que incluíam sucessos como Titanic, Superman, A Bela e a Fera, etc. e outro com cantores do estilo country americano. Continuou gravando e realizando concertos pelo resto de sua vida. 1957 - "Dance the Bop!" 1958 - "'s Awful Nice"
1958 - "Concert in Rhythm, Vol.1"
1958 - "Broadway in Rhythm"
1958 - "Hollywood in Rhythm"
1959 - "It's The Talk of the Town"
1959 - "Conniff Meets Butterfield"
1959 - "Christmas with Conniff"
1959 - "Concert in Rhythm, Vol.2"
1960 - "Young at Heart"
1960 - "Say It with Music (A Touch of Latin)"
1960 - "Memories Are Made of This"
1961 - "Somebody Loves Me"
1962 - "So Much in Love"
1962 - "Rhapsody in Rhythm"
1962 - "We Wish You a Merry Christmas"
1962 - "The Happy Beat"
1963 - "You Make Me Feel So Young"
1963 - "Speak to Me of Love"
1965 - "Music From 'Mary Poppins', 'The Sound of Music', 'My Fair Lady' & Other Great Movie Themes"
1965 - "Here We Come A-Caroling"
1966 - "Ray Conniff's World of Hits"
1966 - "En Español (The Ray Conniff Singers Sing It in Spanish)"
1967 - "This Is My Song"
1967 - "Ray Conniff's Hawaiian Album"
1967 - "It Must Be Him"
1968 - "Turn Around Look at Me"
1968 - "I Love How You Love Me"
1969 - "Live Europa Tournee 1969/Concert in Stereo"
1969 - "Concert In Stereo: Live At 'The Sahara Tahoe'"
1970 - "Bridge Over Troubled Water"
1970 - "We've Only Just Begun"
1971 - "Great Contemporary Instrumental Hits"
1971 - "I'd Like to Teach the World to Sing"
1972 - "Love Theme from "The Godfather"
1972 - "Alone Again (Naturally)"
1972 - "I Can See Clearly Now"
1973 - "Ray Conniff in Britain"
1973 - "You Are the Sunshine of My Life"
1973 - "The Way We Were"
1974 - "The Happy Sound of Ray Conniff"
1974 - "Ray Conniff In Moscow"
1975 - "Laughter in the Rain"
1975 - "Another Somebody Done Somebody Wrong Song"
1975 - "Love Will Keep Us Together"
1975 - "I Write the Songs"
1975 - "Live in Japan"
1975 - "Ray Conniff Plays Carpenters"
1976 - "Send in the Clowns"
1976 - "Theme from "S.W.A.T." and Other TV Themes"
1976 - "After the Lovin'"
1978 - "Ray Conniff Plays the Bee Gees and Other Great Hits"
1979 - "I Will Survive"
1980 - "The Perfect '10' Classics"
1982 - "The Nashville Connection"
1982 - "Musik für Millionen"
1986 - "Say You Say Me"
1986 - "30th Anniversary Edition"
1987 - "Always in My Heart"
1988 - "Interpreta 16 Exitos De Manuel Alejandro"
1990 - "Ray Conniff Plays Broadway"
1991 - "'S Always Conniff"
1997 - "Live in Rio (aka Mi Historia)"
1997 - "I Love Movies"
1 Grammy pela interpretação da música "Somewhere My Love"
70 milhões de cópias vendidas mundo afora.